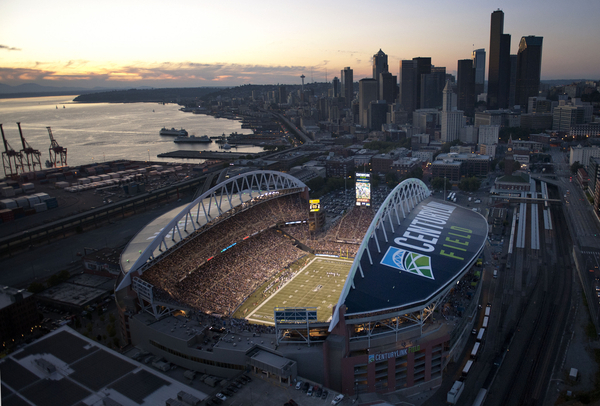 Seattle’s two major sports stadiums make this former industrial district one of the city’s most visited neighborhoods. Savor quick meals at the SoDo outpost of Paseo, where the Caribbean roast-pork sandwiches stand the test of time. Jack’s BBQ (soon expanding to South Lake Union) serves up delectable Central Texas–style meats from brisket to ribs. At Ghostfish Brewing Company, diners complement their gluten-free beers with pulled pork sopes, grilled cauliflower, and pork belly mac and cheese. Car enthusiasts love Derby, a prime spot for ogling vintage vehicles and enjoying plates of poutine and crab cakes. Stock up on Gore-Tex gear at Outdoor Research’s flagship store, located underneath its offices where the waterproofing magic happens. OR also stocks adventuring essentials like sleeping bags and trekking poles for those headed out on a mountainous expedition. 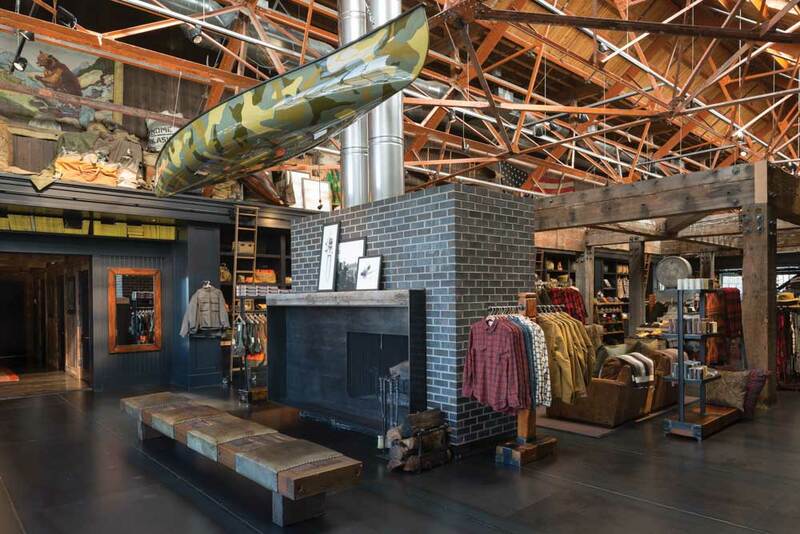 For a decidedly more old-school look, visit Filson’s impressive new shop, where carefully crafted leather luggage, outerwear, and checked flannel shirts are the stars of the burly, woodsy space. Feast your eyes on SODO Track, a free, accessible urban art gallery that spans Fifth Avenue South between Royal Brougham Way and Spokane Street; the project commissioned more than 60 artists to beautify this two-mile transit corridor, and it’s best viewed from Sound Transit Link light rail, a Metro Transit bus (lines 150 or 594), or perhaps a local ride share. Get caffeinated at the Starbucks Reserve SODO, located at the coffee icon’s global headquarters, catch a game or big-name concert at T-Mobile Park or CenturyLink Field, or find late-night music magic at Showbox SoDo. South of downtown, this manufacturing hub and home to Boeing Field is experiencing a cultural revival. Get a taste of this neighborhood’s wide-ranging appeal with uncompromisingly sourced sandwiches at Hitchcock Deli or Japanese-influenced patties at Katsu Burger. 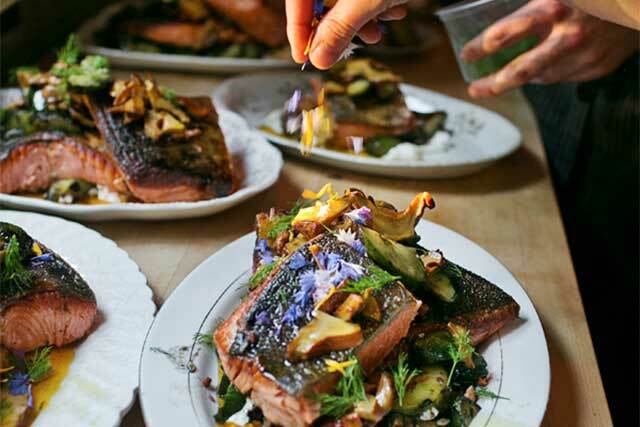 For a special occasion, treat yourself to a community-focused meal, complete with fixed chef’s menus and family-style dining on weekends (reservations required), in the elegant Corson Building, a house dating to 1910. El Sirenito brings a fresh, seafood-centric twist to Mexican dishes like fried rockfish-stuffed tortillas and garlic-grilled prawns. (Enjoy half-priced mezcal here every Wednesday.) Ciudad Grill and neighboring Bar Ciudad meld a festive vibe with a group-friendly menu that showcases tasty meats and vegetables cooked over a charcoal grill. Be sure not to miss the Georgetown Trailer Park Mall, where every weekend brings a bazaar of sustainable, locally sourced, upcycled, reused, and handmade products. Music lovers revamp their collections at Georgetown Records, an independent neighborhood shop that’s also home to Fantagraphics Bookstore & Gallery. At Kassie Keith Vintage Home & Curiosities, peruse treasures discovered by the store owner, a Seattle native and lifelong antiques enthusiast. Not to be missed, the Museum of Flight brings Seattle’s aviation heritage alive. 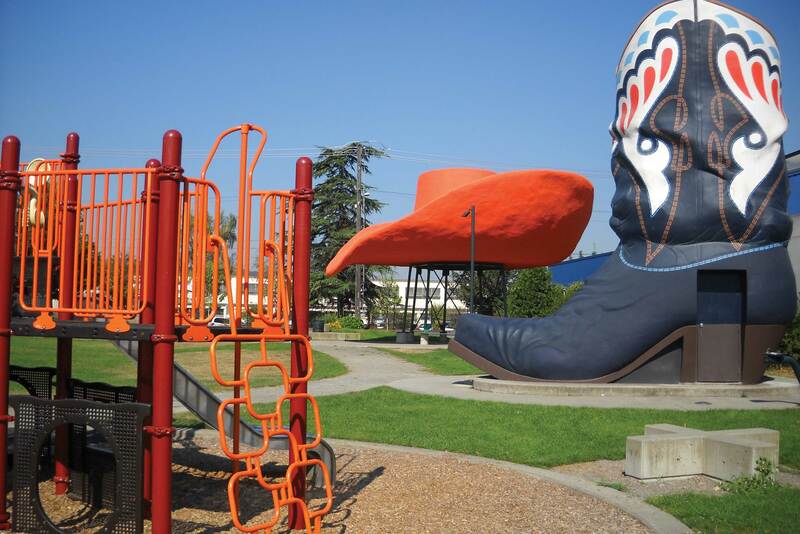 Families also love visiting Oxbow Park for the bigger-than-life Hat ’n’ Boots, a salvaged roadside landmark from the 1950s. Afterward, dive into local culture at historic hangout Jules Maes Saloon and the massive Georgetown Brewing Company, home base of Seattle’s beloved Manny’s Pale Ale. Or, satisfy your sweet tooth with house-made soft serve (black sesame flavor, anyone?) and doughnuts at Seattle Freeze.